A lush, tropical, verdant paradise in the South Pole? Living dinosaurs? Such fanciful ideas must surely be the ravings of a madman. Or perhaps not, as Admiral Nelson soon discovers. The question is, will he and Crane survive their trip to a lost world? A sea monster kills three villagers in a Norwegian fjord; however, one man survives. Seaview arrives to investigate. Nelson and Crane are met with hostility from the locals and find the survivor has died. Nelson does his best to make sure the sea monster doesnt destroy Seaview. A Soviet satellite has crashed into the sea and its nuclear reactor must be disarmed before it causes a disaster. Two Soviet scientists come aboard Seaview to carry out the work -- but one of them is an imposter. Damaged by an explosion from an old mine field, Seaview takes a dive to the ocean floor. Listing dangerously, running out of oxygen, having to deal with fire and flood, the crew can do nothing but wait for help. But will help arrive in time? Admiral Nelson is kidnapped from a plane during mid-flight and held on a remote island by Nazis who plan to conquer the world. 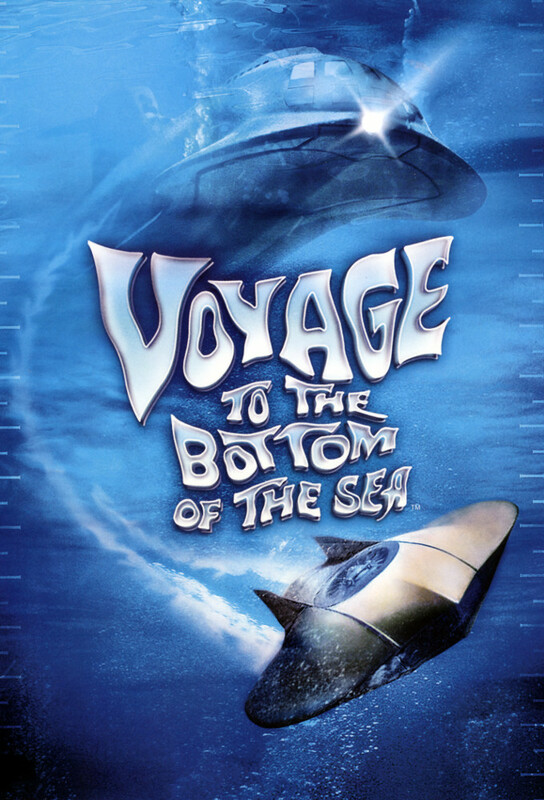 After Nelsons experimental submarine is attacked by a giant jellyfish, tension mounts aboard the Seaview as Nelson exhibits signs of a mental breakdown. When a mass missile launching by a foreign power sets the U.S. on nuclear alert, the Seaview goes into a fail-safe maneuver, but is the launch really what it appears to be, and does this actually mean its doomsday? An undersea earthquake exhumes hundreds of strange metallic capsules, and a powerful humanoid creature who could destroy mankind is restored to life after millions of years in suspended animation. After returning from a mission on deep space, a lifelike robot is brought aboard the Seaview, but the crew soon discovers that the robot has been mysteriously reprogrammed to wreak havoc. A mad art connoisseur seizes control of the Seaview and plans to pirate Leonardo da Vincis Mona Lisa from a French Ship bound for the Worlds Fair. A newly installed super-computer is tested on the Seaview...but the enemy has other plans. Crane is brainwashed by enemy agents, and his new mission is to deactivate certain strategic undersea missiles and to assassinate Admiral Nelson! A strange experiment to speed up evolution goes horribly awry, and an enormous protoplasm monster threatens the lives of the entire crew. The cre of the Seaview is called to investigate an undersea laboratory where scientists are surgically transforming humans into amphibians. Nelson is stranded aboard a life raft with the ex-premier of a hostile foreign power who carries vital information on a plot to destroy the free world. The crew is joined by Captain Adams, the sole survivor of an ill-fated missile launch, in search of the mysterious force responsible for the disaster. The Seaview travels to Scotland via a secret, underground conduit to investigate the mystery of the legendary Loch Ness Monster. Nelson and Crane are dismayed when an egotistical, publicity-seeking scientist is given command of the Seaview to test a new pressure system which will allow the sub to explore uncharted depths. Nelsons sister is abducted by enemy agents who demand top-secret information as ransom, but will Nelson betray his country to protect the only family he has?